The Mane Objective: Coming Soon: #SupportSmallBusiness Week of GIVEAWAYS!!!!! 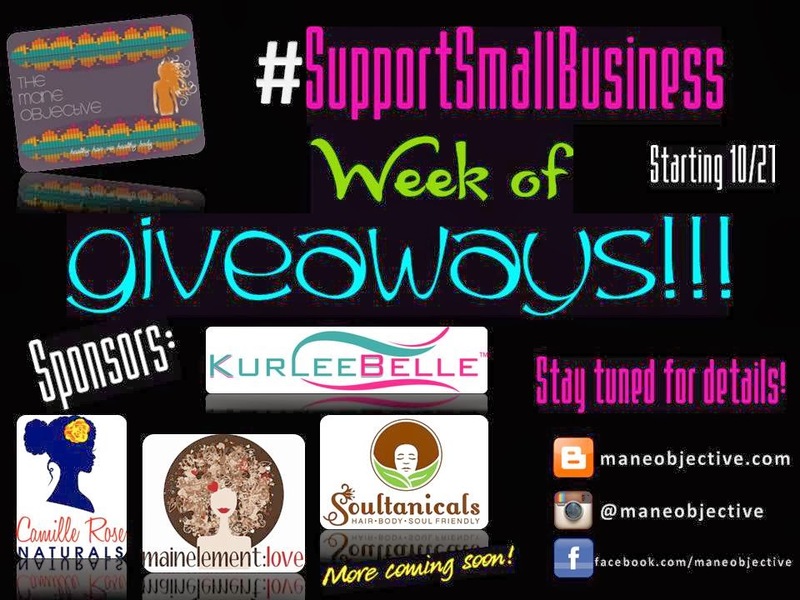 Coming Soon: #SupportSmallBusiness Week of GIVEAWAYS!!!!! For the past few weeks, I've been cooking up a way to bring my "Small Businesses to Support" series on Black Girl with Long Hair to a close. I wanted to go out with a bang. Not because I'm done showcasing small businesses (trust me, I'm FAR from done! ), but because I've closed a chapter (for now) in that series on BGLH. It was definitely a whirlwind of e-mails, shipments, and keyboard strokes, but it was sooooooo much fun. Like, as in I can't wait to do it all over again fun. The small business owners themselves were inspirational, kind, supportive, and were so gracious with their FABULOUSLY MADE products. I drove folks on Instagram crazy, seemingly posting a new product arrival on a daily basis. So as a way to share the love, I'm hosting A WEEK OF GIVEAWAYS!!!! to close out the month of October. No, not one product being given away all week - but a different product set EVERY DAY! The amazing ladies behind Soultanicals, Kurlee Belle, Camille Rose Naturals and mainelement:love have agreed to sponsor prize packs consisting of some of my favorites and their best sellers. How amazing is that?! I'm just waiting on a few more confirmations from a few other amazing brands, but in the meantime, get ready to get this party STARTED!!!! Starting Sunday, October 27th we will kick things off with a giveaway from Camille Rose Naturals - the Curl Renew Giveaway! 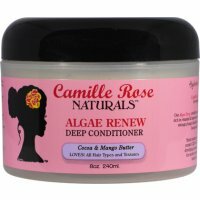 You'll be able to win a full size Caramel Cowash AND Algae Renew Deep Conditioner!!!! That's a value of almost $40! Stay tuned for all the details!!!! !